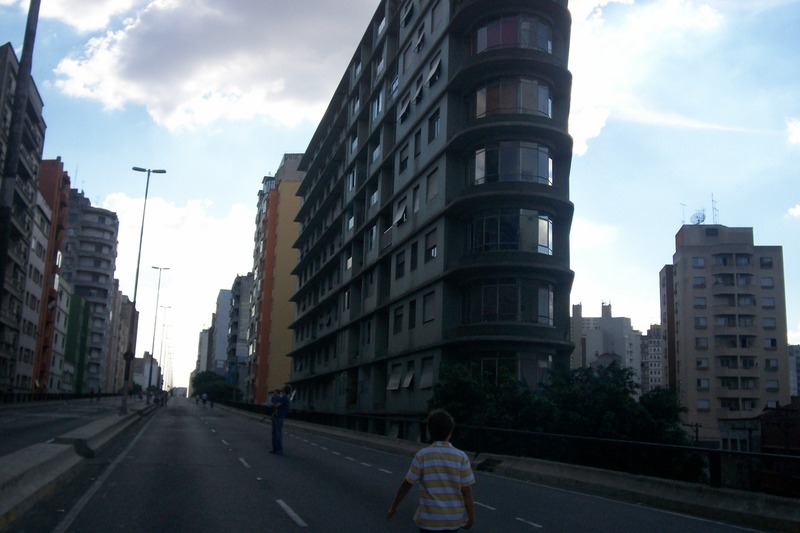 Sunday in Sao Paulo – people strolling along the deserted Minhocão, “The Giant Earthworm”. This monstuous elevated road is busy with heavy traffic six days a week. The last day, it shuts down so to allow the most eerie display a Brazilian megacity can give: punch-drunk Paulistanos sipping their água de coco while roaming an empty highway cutting through a forest of skyscrapers, surrounded by cryptic graffiti tags (pixações). Carl Von Clausewitz famously claimed that “war is a continuation of state policy by other means”. During our stay at the Faculty of Social Sciences of the University of Ljubljana (Slovenia), we had the pleasure to prove the controversial point that humanitarian intervention, on the other hand, can be regarded as the continuation of war by other means. 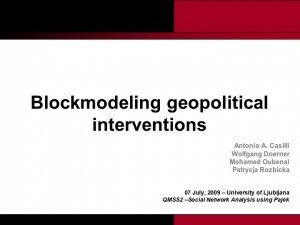 Our project (whose presentation you can download here in .pdf format) was part of the ESF-funded QMSS2 (Quantitative Methods for the Social Sciences) program. We tinkered a little with Pajek, with the substantive help of Raphael Wittek (University of Groningen) and the enlightening suggestions of Aleš Žiberna (University of Ljubljana). Back in the day, patients used to show up at doctors’ practices with a set of symptoms. Since the advent of the Internet, though, they show up with a set of symptoms and a diagnosis of their own design. Now, this diagnosis is often concocted using whatever health information they run into while googling their scared asses around the web after the appearance of that skin rush or of that nasty lump. Traditionally, health professionals have expressed their disapproval towards these web-savvy patients who challenge medical diagnosis, multiply clinically-inappropriate requests , disrupt physician-patients relationship  and ultimately create a widespread climate of “cybercondria” .